Hordes of Zombies will once again descend upon the Bull City - Saturday, October 29. Costumes are not required, but certainly encouraged. Join neighbors and strangers alike for an afternoon of staggering through the streets. 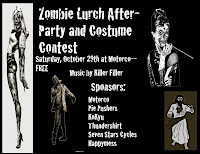 This an all ages, free event, starting at 5pm across from Piedmont on Foster Street, and ending at Motorco. 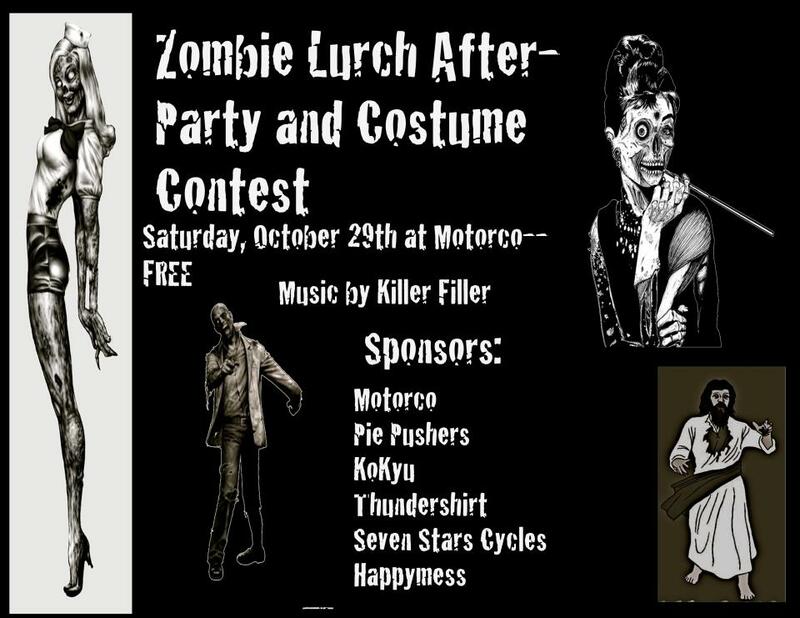 Speaking of Motorco, they will be hosting a free afterparty and costume contest immediately following the Lurch. Food trucks, Music, and prizes. After party is also, all ages. 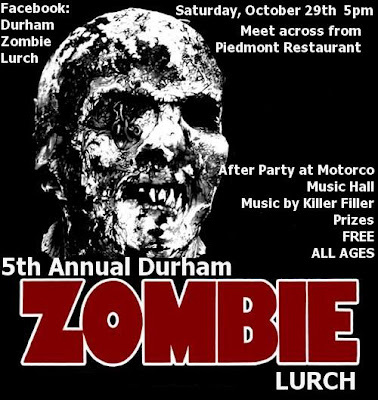 For details, check out their Facebook Group Page: Durham Zombie Lurch.